1939 DVD for an 80th Birthday Idea. Play this 80th birthday DVD at your party this year or next year to show everyone what happened the year they were born. Perfect idea for that birthday party you are throwing! 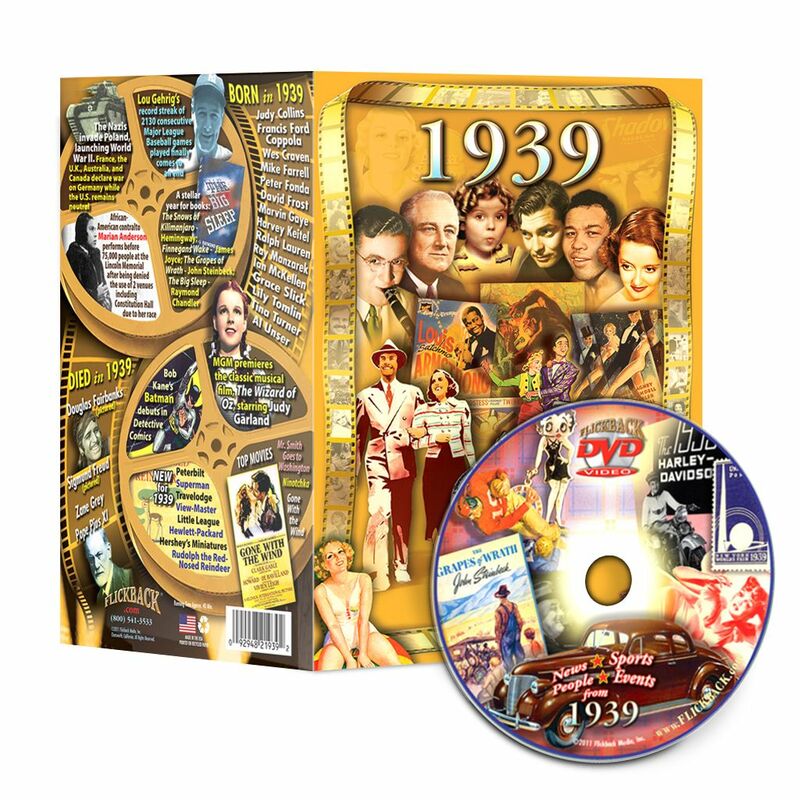 The 1939 DVD has Original newsreel of news,world events, sports, entertainment. 30 minutes long. Use it as the main entertainment at your party, or just give it to the person as a nostalgic gift so they can see how far they have come in the world since being born. See more 80th birthday ideas.